Maruti Suzuki Swift is one of the most popular hatchbacks in our country. The Indo-Japanese automaker is preparing to launch a range of products in the domestic market in 2017. 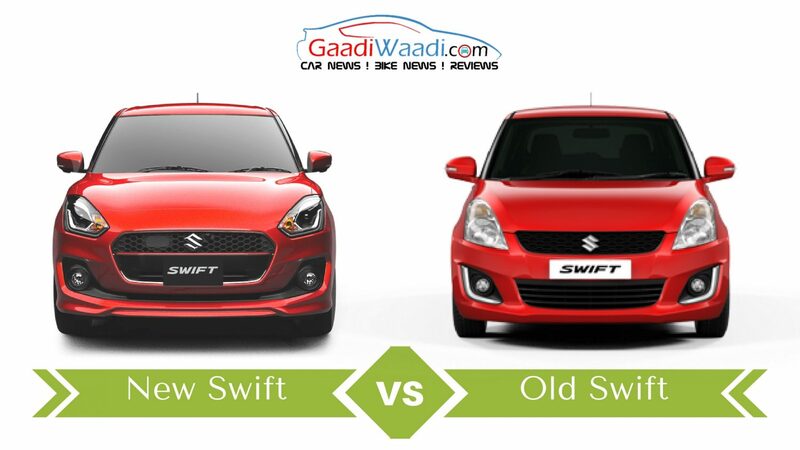 Among these products the new generation Swift will be the most important model. The next generation Swift has been already launched in Japan and it will be officially displayed at Geneva Motor Show 2017. The hatchback will be launched in Indian market in October this year. It looks way more appealing than the current Swift. The basic silhouette of the car remains identical, but front fascia and the side profile come with significant updates. The new generation Maruti Suzuki Swift has been designed to deliver a more upmarket appearance than its predecessor. Not only the exterior, but interior of the car has been also designed to appeal the customers with more upmarket features. Several safety features have been introduced also. Also, the new generation Swift hatchback appears very much lightweight. It comes 15% lighter than the Baleno as well. 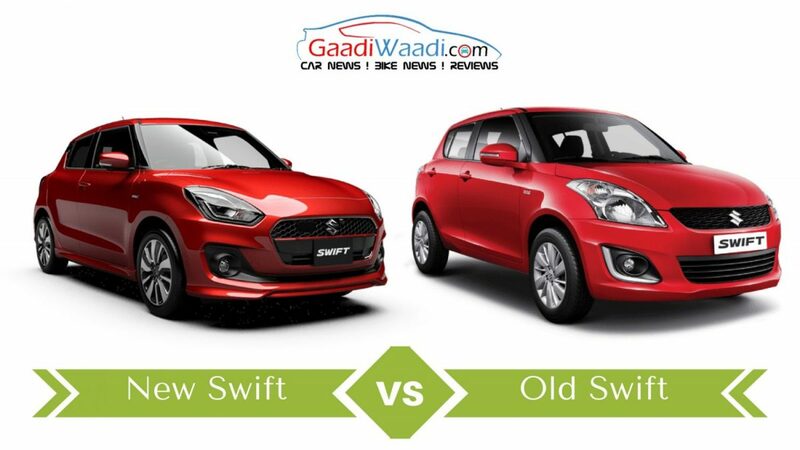 Now, before the 2017 Swift arrives in the country, let’s take a spec-sheet based comparison between the new generation and current-gen Swift. All new Maruti Suzuki Swift comes incorporating a new and large hexagonal front grille with chrome trim around it. The headlamps of the new Swift come much sharper and incorporate LED daytime running lights, while the current model’s swept back headlamps come sans LED daytime running lights. The front bumper of the new generation model of the hatchback has been updated as well. Instead of L shaped chrome trims around the fog lamps in old model, the new Swift gets blackened fog lamp enclosure. It looks sportier than the existing model. At the side profile too, the new Maruti Suzuki Swift dons revised appearance than its predecessor. 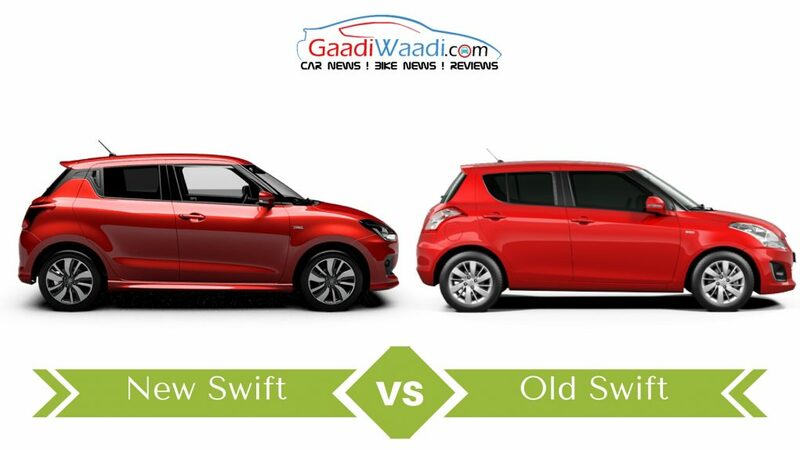 The new design alloy wheels and the repositioning of rear passenger door handles have enhanced next generation Swift’s appeal. While the current generation Swift comes with conventional door handles on the rear passenger doors, the upcoming Swift gets the handle positioned at the C pillar. Apart from that, the side profile of the new Swift boasts subtle character lines, turn indicator integrated ORVM, floating roof design with blackened A and B pillar. The C pillar is also partly blackened, which simply enhances the appeal of this car further. Moving to the rear, we found the new Swift much sportier looking than existing model with the integrated roof spoiler, restyled taillights and new rear bumper as well. So far, the 2017 Maruti Suzuki Swift looks stylish and appealing from every angle compared to the dated looking current Swift. Dimensionally, the new-generation Swift measures 3,840 mm in length, 1,695 mm in width, 1,500 mm in height and it also has a 2,450 mm of wheelbase. Therefore the, 2017 Swift comes 10 mm smaller, 30 mm shorter and also has 20 mm smaller wheelbase compared to its predecessor. The upcoming model also comes with better space for luggage as it offers 60 litres of extra boot space than current model. All new 2017 Maruti Suzuki Swift comes with sportier and more upmarket appearance inside the cabin compared to its predecessor. It dons a new sporty three-spoke multi-function flat-bottom steering wheel, a completely new dual-pod instrument cluster with analog dials and digital MID as well. Centre console has been restyled and sports an all-new touchscreen infotainment system with Apple CarPlay, Android Auto and MirrorLink connectivity. These certainly make the new Swift more appealing than the current model. The circular HVAC vents, restyled dashboard, new seat and upholstery materials with contrast stitching and additional safety features are enough to make the 2017 Swift more appealing and impressive rather than the existing hatchback. It is expected to come incorporating dual front airbags, ABS, EBD and many other safety features as well. All-new Maruti Suzuki Swift could come sporting the same 1.2-litre petrol and the 1.3-litre diesel engine, which are available in the current model as well. Power and torque output of these two engines are likely to remain same. But the fuel efficiency will be improved compared to the existing hatchback. The 1.2-litre K-Series petrol engine generates 83 bhp of peak power at 6,000 rpm and 115 Nm of peak torque at 4,000 rpm. The 1.3-litre DDiS turbodiesel engine kicks out 74 bhp of peak power at 4,000 rpm and 190 Nm of peak torque at 2,000 rpm. Transmission duty will be done by a 5-speed manual gearbox and there will be a CVT on offer as well. On fuel efficiency front, the petrol engine is expected to deliver an impressive 21 kmpl, while the diesel unit will return 26 kmpl. The mileage has been improved thanks to the lightweight platform and efficient mechanical treatment. Also, the car comes with improved power to weight ratios than its predecessor. Globally a 1.0-litre Ecoboost turbojet petrol engine is also on offer for the new Swift. We hope that comes available to Indian market as well. 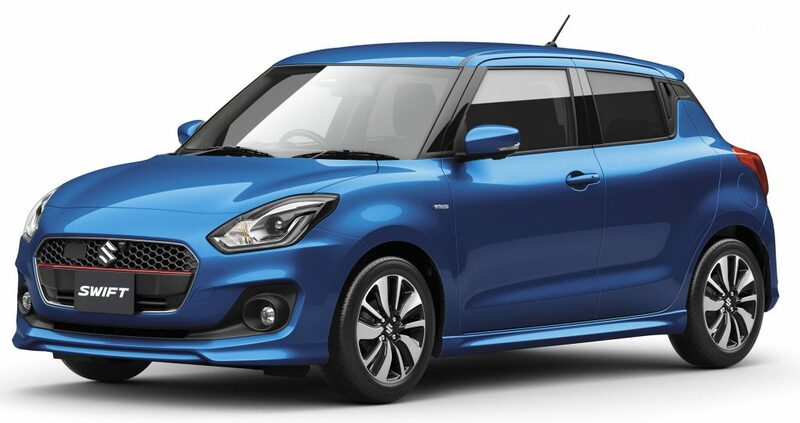 The upcoming new-generation Maruti Suzuki Swift certainly looks much more stylish and attractive than its predecessor with the new refreshed appearance while importantly holding all the ingredients of the old model which means a lot for the Indian customers. It looks sportier and more urban than the existing one. Inside the cabin, new Swift will comprise of premium and upmarket features with the redesigned dashboard. The new materials used inside the cabin have certainly upped the game for this car. With the new lightweight platform, power to weight ratio should have been improved as well which in turn reflects on a much greater handling. With increased mileage, the upcoming hatchback becomes attractive than the current model. In India, the young customers know the Swift as an agile handling machine inspired by its quickness of the chassis. 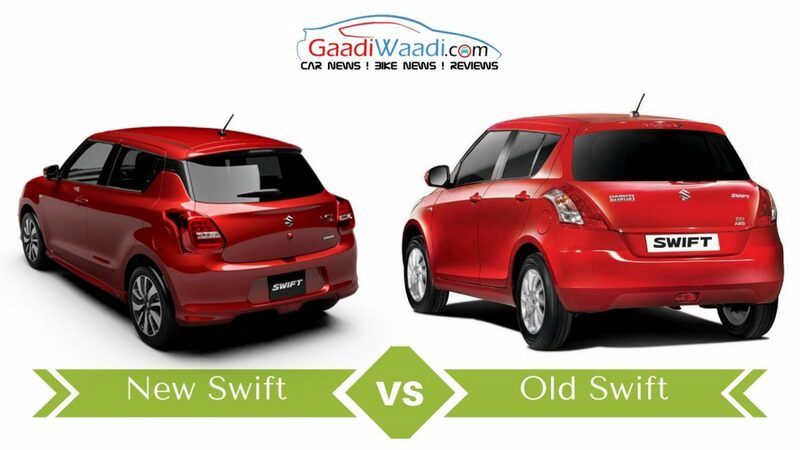 We can safely assume that the new Swift will excel in its signature traits and put a huge grin on people’s faces.